Contact us at Contact-Us@StoryboardThat.com if you need help! Can more than one teacher share an educational account? A base educational account is for just one teacher and their students. We offer a school edition at just $2.69 per user to cover an entire school, or multiple teacher accounts at just $95.99 per teacher. What happens when my teacher trial ends? Your account will be in a state of limbo, and you will be unable to create or edit any storyboards. Student information will be deleted after 30 days to protect student privacy. But wait, there's more! I am not a school teacher, can I use the educational version? No. The educational version is designed and priced around school teachers working with kindergarten through high school. If you are not a teacher, you will find the extra features unnecessary and an individual account is often less expensive. What subscription should I choose if I'm a homeschool parent? The best and most affordable option is our single teacher pricing for up to 10 students. This allows you and your student(s) to access Storyboard That with your own logins (instead of sharing) and all the benefits of the educational subscription. It is also significantly cheaper than an individual subscription. Yes! You can find our W9 here. What if I only want one month? Many of our users only need access for a month. Purchase a subscription and cancel any time before the month is up. No. We understand that sometimes you just need Storyboard That for a short period. Cancel your subscription at any time. Absolutely, if you’re not happy with Storyboard That, we will refund you within 30 days. Yes, if you request within two weeks of the charge and have not used Storyboard That, we will happily refund your money. I already canceled, why am I being charged? You will not be charged after you cancel a subscription. If you think you have previously canceled and this is a mistake, please send us a screenshot and we will be happy to assist. How long will you keep my teacher storyboards if I cancel my subscription? We will keep your storyboards for at least one year after cancelling your subscription. We know many of our teacher users want their storyboards and assignments to be there after summer break. How long will you keep my student storyboards if I cancel my subscription? All student data will be automatically deleted from expired free trial accounts and expired paid accounts after 30 days. Paid subscribers can choose to have their student data kept for up to one year after the end of a subscription. From the teacher dashboard, click "Manage Security" and update the data retention settings. Deleting your account will permanently delete all storyboards and all user data. If you actually want to cancel your paying subscription, go to "Manage My Subscription". If you are sure you actually want to delete your entire account, you can delete your account by going to your account settings or emailing us at Contact-Us@StoryboardThat.com. Storyboard That is a web-based software application and does not have the traditional software requirements of traditional “packaged software”. Storyboard That will run OK on a tablet like an iPad, but due to its large screen nature, if a keyboard can be added, the experience will greatly be improved. We do not recommend running Storyboard That on a phone or iPod for creating storyboards, but they are great devices for viewing created storyboards. Storyboard That does not use Flash, Silverlight, Java, Active-X or any other plugin, but does require a good internet connection. When saving a storyboard, we typically upload 1-2 MB of data. We love to hear your feedback. 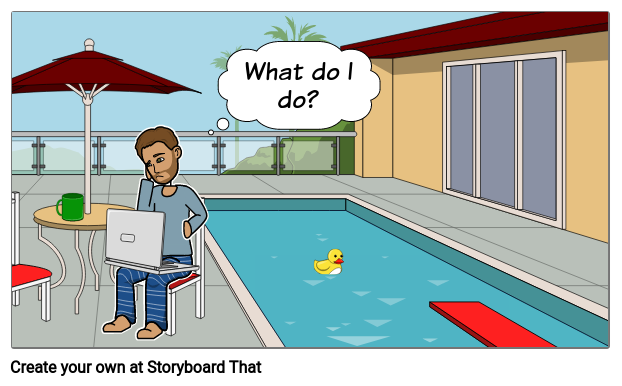 Send us an email at Feedback@StoryboardThat.com or visit our Feedback and Suggestions page and we will consider adding the feature. What Are the Advantages of Upgrading?